One of the things that I enjoy about my train commute is the chance to read for a couple of hours each day. Getting lost in a good book is it’s own reward. So here are some that I’ve read over the past few months. Simple Genius is the third book featuring Sean King and Michelle Maxwell and one in which Michelle’s demons are revealed. Baldacci is a great read, perfect for dipping into for an hour or getting lost in an adventure for several. If you like a thriller then I thorougly reccomend him. As a kid I read science fiction and fantasy almost exclusively. Nah, not almost, it was all I read except when school text books intervened, and they were more of a chore because of the joy I got from the other genres. 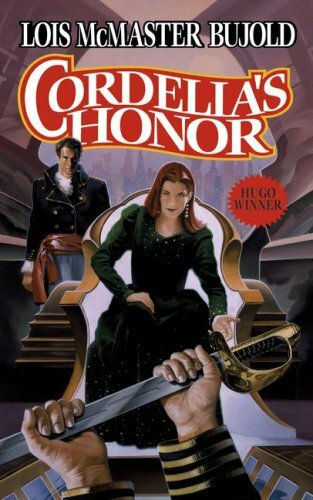 Still somewhere along the way I missed Lois Mcmaster Bujold even though she is a multi Hugo and Nebula award winner. I am glad I have belatedly found this Vorkosigan series. 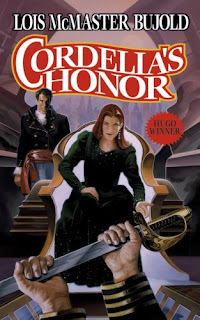 Cordelia and her partner Aral Vorkosigan are introduced in this book, Cordelia’s Honour, a classic space opera with strong characters you come to care about. No great dwelling on the technical details here, these are novels of relationships and politics, which I guess is the same thing anyway. I am now deep in the second multi volume book and I’ll report on that later. American Gods by Neil Gaiman has become one of my all time favourite books. What does happen when old Gods lose their worshippers. This is a road story with a difference and I urge everyone to enjoy the journey. 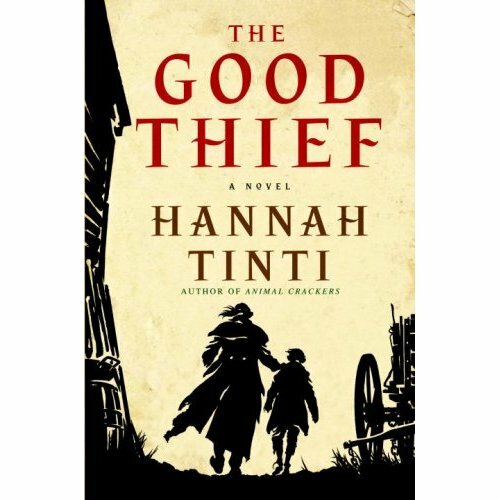 A lot of reviews of The Good Thief talked about the Dickensian atmosphere of the book, but not having read Dickens I can’t comment on that. What I will say is that this is a terrific and moody story of a young orphan and his adventures on being claimed from an orphanage by a bloke best described as a grifter. I’ll certainly be reading more of Hannah Tinti’s books. 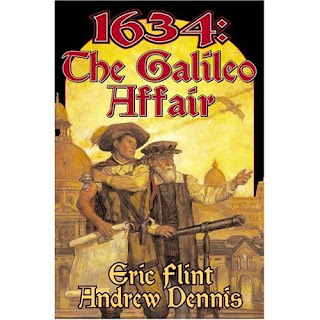 I really enjoyed Eric Flints 1632 and 1633 books about a west virginian township transplanted back to Germany during the 100 years war, but this spin off, 1634 The Galileo Affair, although OK, didn’t grab me as the others have. I found myself wanting to know more about the characters who had been introduced in the first two books rather than follow this side show. I’m not saying it wasn’t entertaining, just not as good as the first two. 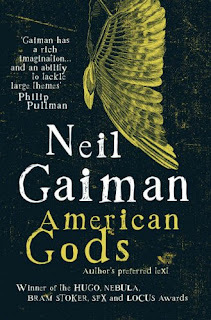 So if you read this one first I’d urge you not to give up on the series and make sure you grab the first two books. S.M. Stirling is another in the growing line of writers of alternate histories and I have yet to read a bad book of his, having thoroughly enjoyed his Island in the Sea of Time series and the companion volumes of The Change series. 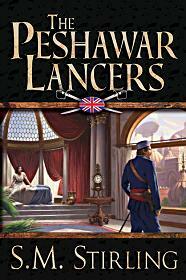 The Peshawar Lancers is set mainly in 21st century India but after a comet hit earth in the late 19th century with devastating effect. A rollicking tale of adventure with great stiff upper lip very English heroes and well worth whiling away a few hours.